Welcome to STATUE M A R V E L S! All times are GMT -3. The time now is 09:32:12 PM. It fits in amazingly well. I will own one if Eaglemoss make one. Something about giant starfish from beyond the stars falls into a must have category for me. Whoa! That's sweet! Are they actually using washes for shading on these little things now? That's a hell of a lot of detail for such a small piece. These things are really improving in complexity. I only have the Green Lanterns so far, but if the quality keeps getting better on these like it has I'm going to get sucked in easily. Really looking forward to this Dr. Fate and also the Adam Strange. Whoever is responsible for character selection on these is doing an awesome job. 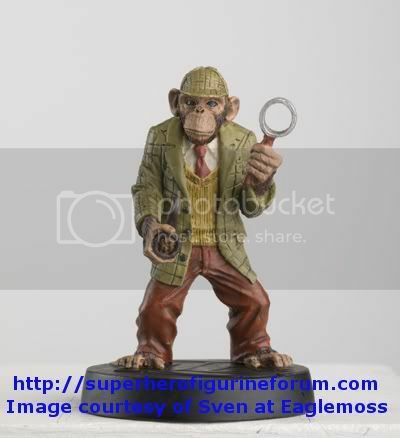 Also - any members on here who are members of SHFF - if you have not - please bounce over and check out the polling booth - we are currently running four Eaglemoss polls and are planning to send the results in this week. How cool. I'll have to set him next to The Creeper in a little Steve Ditko homage. Anyone know when Adam Strange will be available? I'm only seeing presells on eBay. Awesome. That just happens to be my birthday. I'll have to drop a few hints to the right people before then. And I enjoy it, my friend! It's awesome Braniac!!!!! 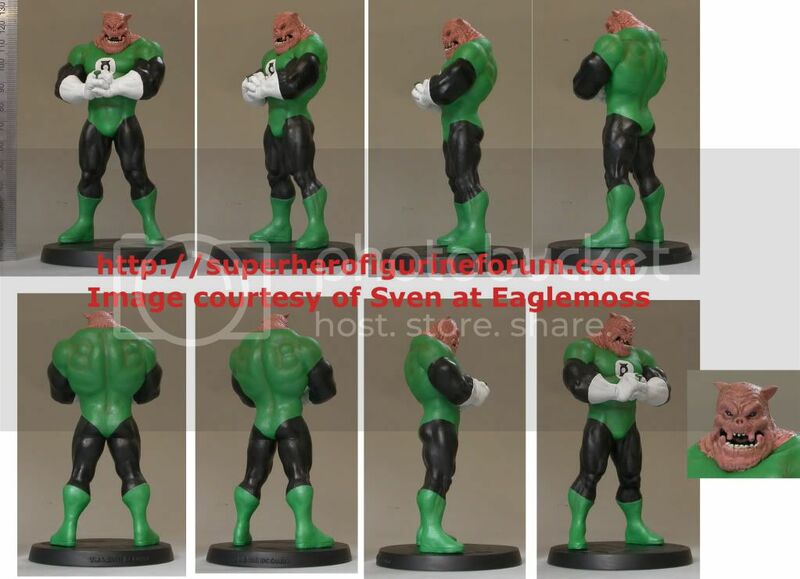 And second of all, a fully painted preview of the main poozer himself, Kilowog! Woo Hoo Detective Chimp and Kilowog. Ka Ching. That's a guaranteed sale. The DC Collection has been extended from 80 to 100.